Kil'jaden, you've won, at least for now. I'm calling it here, folks. Tarsan, Mizauki, Amaera, and I discussed our efforts. Method, who got the world first, needed 700+ attempts. Granted that was at level and we outgear the place, but we can't do this. We have phase one down. But we simply cannot get through the transition phase to phase 2. There is absolutely no margin for error. We can't overgear this and expect to get through the phase because of the mechanics. It's not a question of dps. It's not a question of healing. It's the need to be in two places back-to-back with 2 seconds to move. That's a bit of an exaggeration, but not much. I got more and more frustrated with my inability to move to where I needed to be. We also feel this fight was not tuned properly for the stat squish. Some of the damage being taken from some of the attacks seems way out of proportion to our abilities and armor. We can't change that and it's not a strike against us that we can't get through some attacks without 80% of our health vanishing. That's solely on Blizzard. You are all amazing. You would, probably, throw yourselves against this boss as much as we'd put it on the schedule. You've already indicated you want to clear this raid in mythic mode. But, I can't ask this of you. I have very grave concerns it will make you hate raiding. So, we're done with Mythic Tomb, for now. We're going to take a few weeks off, going back in, maybe, in December. Perhaps, with better gear, we can down the adds more quickly, not that that will help in trying to avoid those stupid purple orbs. Of course, I feel badly that we couldn't down him before I'm pulling this plug. We'd come so far. We'd done so much as a guild. And this is what I want you to take from this. Look at what we accomplished. Guilds aren't doing this content because it is unforgiving and we got this far. We struggled with Maiden, but we downed her. That's also a fight you can't completely overgear. Look at how we learned to coordinate, to work together. It wasn't about going in and bashing things to pieces. We had to learn the fight and learn how to work together. What's next? Uldir. This coming weekend, we're going into Uldir on LFR mode; the first two wings on Friday with the final wing on Saturday. 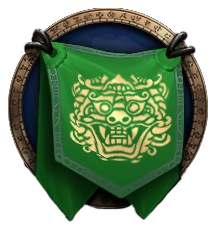 Given all that we know how to do, and what we've shared as a guild, Uldir is going to feel like a stroll through Grant Park in Chicago. (Pst. Those pigeons are actually the relatives of dinosaurs.) 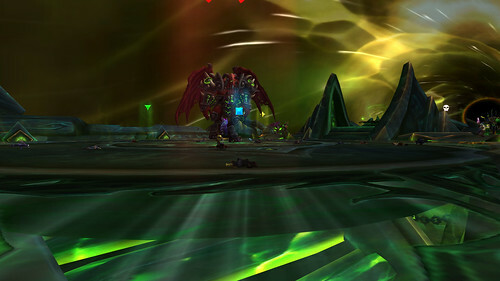 We still have mythic Emerald Nightmare to finish. We got the first two bosses down. We have mythic Trial of Valor. Both of these aren't nearly as hard as mythic Tomb. We haven't finished heroic Nighthold nor started heroic Antorus. There's still a lot of Legion raiding left to do; raiding we can overgear and be successful in without all the stress and headaches of mythic Kil'jaden. I hope you'll come to Uldir now. We'll do this LFR event and then, next month, go back in in normal mode. There are some fights which could give us fits with mechanics, but the first few bosses are going to be, "Is that all there is?" Let's breathe and go back to figuring out how to down the bosses by not doing the strats as suggested.